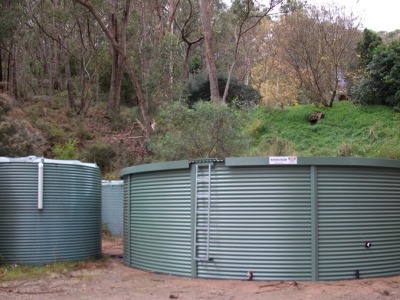 The reasons to choose a galvanised steel water tank over a poly tank will depend on your individual situation. Unless you intend on replacing your water tank frequently, the lifespan of the tank should be a major consideration. When choosing between one large tank or several smaller ones remember that multiple tanks will need extra valves, connection pipework and will have more potential leak points. As a comparison, for 100,000L of storage an Aquamate water tank is around 80% of the price of a decent poly tank alternative. With bush fires being a common occurrence in rural Australia, the fire brigade may need to use your water tank to fight a fire on your property at some point, Can your tank take the heat? Delivery and installation restrictions can be an important part of your water tank decision. Clear access and remoteness can become important considerations when access is limited. Check out more details on our infographic here or contact us to discuss how Aquamate can help you with your water storage needs.